About 2 months ago i posted about how I was no longer able to nurse our sweet chickadee….After trying formula from the store for 2 weeks I decided to try homemade formula..
With lots of nay-sayers our baby girl is thriving on it and loves it to.. she gobbles it down every feeding! Many friends and family had some questions. So i thought i would answer them here. The biggest question has been cost.. is it cheaper. I honestly DIDNT choice this route because it was cheaper..instead cause i know what i was putting in her body. So at first it seemed silly to even answer this… but now after 4 weeks i think i can gave an estimate on the cost. As of today (4 weeks out) i have not had to purchase anything else.. And i have still well over 1/2 and some 3/4’s full containers. I do estimate having to replace my coconut oil and lactose soon but i think i still have 2.5 weeks. 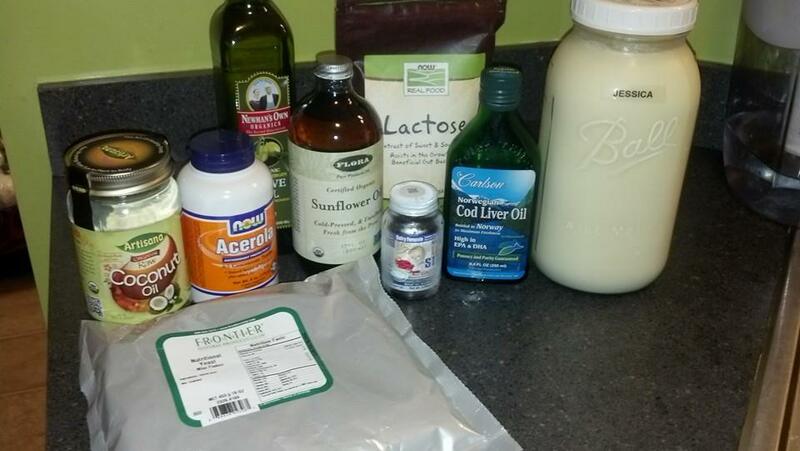 I DO have to purchase a gallon of raw milk which is $7.00 and I make my own whey $1.25 each week. 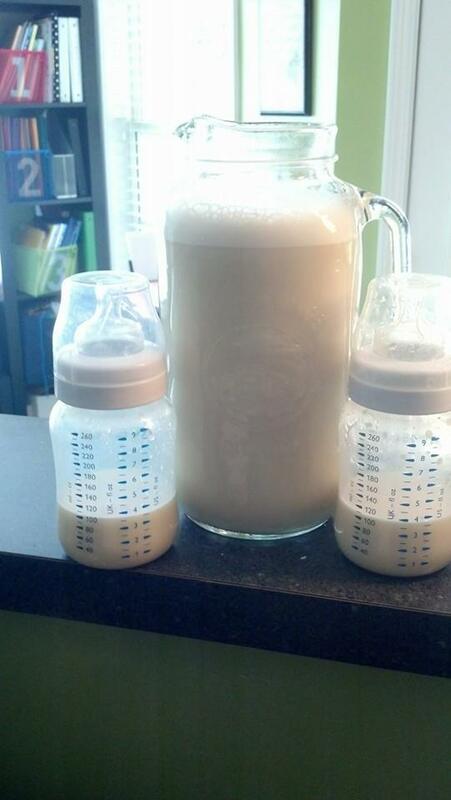 homemade formula spit up.. STINKS like rotten cheese.. its BAD! EVEN with all the con’s Superman and I are still Glad we made the switch and the prep is part of my bi-daily routine so its no big deal! Would love to answer any questions!! I’m super glad you posted this! 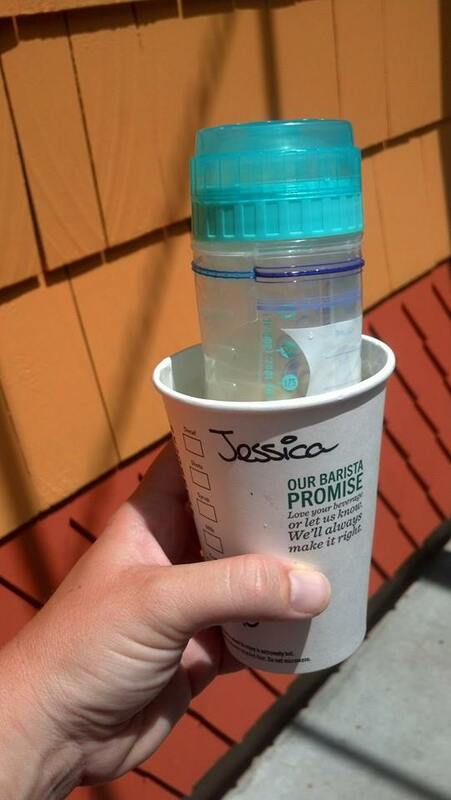 I wanted to do this when Vivian was a baby, but only became enlightened to the dangers of commercial formula about the time she was done with the bottle. While I have every hope for a long and successful nursing time with this baby, I’m now more sure that I do want all the ingredients on hand for times that may call for an emergency non-breastmilk bottle. It could happen and I don’t want to be caught off guard. I know so much more now about healthier living, so thankfully we have some of these ingredients already on hand … including raw grassfed milk … which makes me feel like we’re in the right direction!